Our last stop on this trip was Tyndall Air Force Base just east of Panama City. The campground sits on the water. This can provide some restful time enjoying the setting sun and leisurely strolls thru the wooded areas of the campground. The campground is also on the flight path of the airfield where the F-22 Raptor jets operate. This can get very exciting and very loud at times. We can hear them coming from the time they shove the throttles to full on the runway. 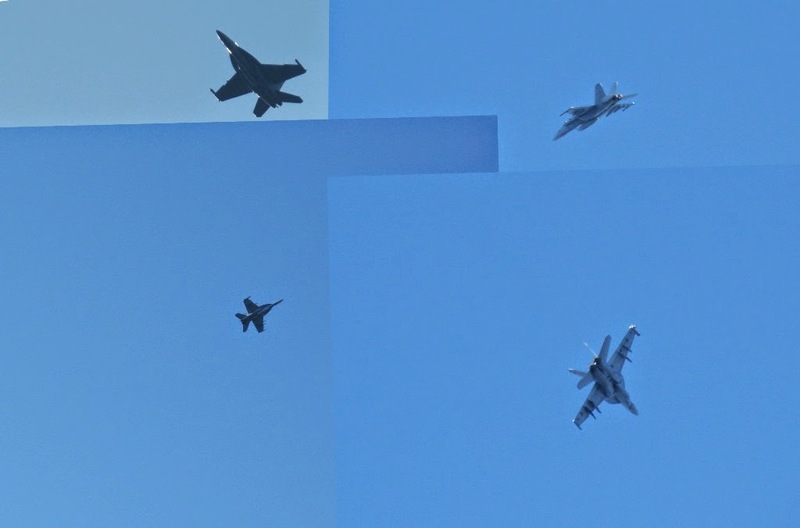 Sometimes, if I am fast enough, I can get outside in time to see them fly over our site. Occasionally, these passes are very low. Because we are in the trees. if I want any shot of the planes, I have to be very fast. When they are on the deck (very close to the ground) it is even harder to get a shot. They display a tremendous power and agility. We also visited to historic district of Panama City and the new shopping areas of Panama City Beach. The historic district seems to be holding its own with most the buildings occupied by small businesses. One of them was the original J C Penney store which was at the downtown location until the latest mall was opened and they moved out of the downtown area. The building now holds a huge antique store. Over all it was an interesting tour. The new shopping district was OK (if you like shopping) but not unlike the ones you can find in nearly every part of the country. This part of the Florida Panhandle is often referred to as the forgotten coast. It has lagged behind some of the other parts of Florida during the last century and is only now showing some small signs of growth. This lack of commercial development allows us to see what the coast looked like before everyone started to flood into Florida. As we started back towards home, we made some quick stops along this coast to enjoy that feeling. First was the town of Apalachicola. This town became a coastal boom town starting in the early 1800's with the cotton trade. By 1840, it was the third largest cotton port in the United States. Also during the period the town became a major supplier of sponges. By early 1900's the demand for sponges plummeted. The town shook these losses off and so became the oyster capital of Florida with 90% of all oysters harvested in Florida coming from Apalachicola Bay. It still has a seafood industry and has become a tourist attraction, as well. Walking around the town, you will able to feel its history on every street. One great thing about Florida is the many public accesses to waterfront and beach locations. You can usually find a good spot in any town along a body of water to park and enjoy the view. 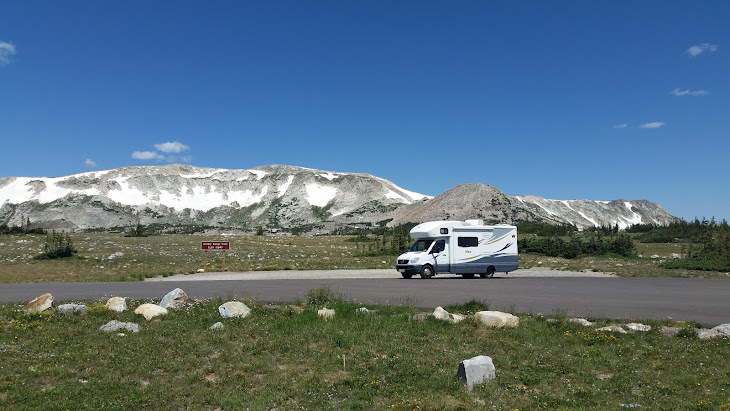 Now, with our smaller motorhome, we try to find these places while traveling to stop and have lunch or just to enjoy the view. We have driven through the town of Port St Joe a number of times, but never slowed down. This time, we got off the main road and found a waterfront park to have lunch. It is amazing how many people just drive thru the parking lot at this time of day for a quick look at the water before returning the their daily labors. After leaving the rally, we moved to the barrier island that shelters the coastline from Apalachicola to Green Port, FL. St George lays southwest to northeast with southeast section developed with homes and condos and the northwest end devoted to the St George Island State Park. The park has one long road with beach access on the ocean side and bay access and a campground on the other side. The campground has water and electric and will accommodate any size rig. The attraction here is the quiet and beautiful beach that stretches on for mile after mile with no commercial obstructions. Here the beach is level with packed sand for easy walking. The water remains shallow for a long distance offshore and provides easy and safe access, especially for younger children. Apparently it is still turtle nesting season and there are a few rules aimed at not disturbing the turtles, but we did not see any while we were there. A great place to relax and let the world go by.